Written on September 5, 2018 . Posted in Events. Laltex picked up the supplier of the year award. Neil Horner of the company, said: “We’re over the moon to have won supplier of the year from such a prestigious group. It’s fantastic to be recognised for our team’s hard work and dedication over the past 12 months –abig thank you to everyone at Laltex Promo. 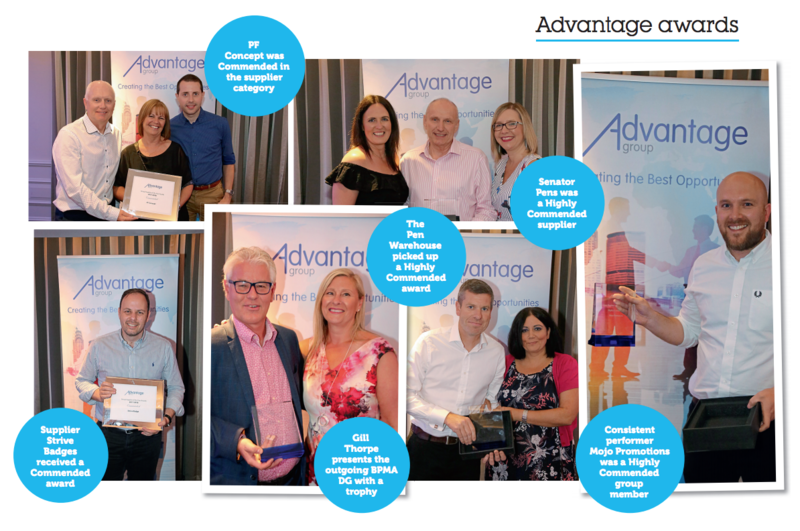 Thank you to all the Advantage Group members who took the time to vote for us, it’s such a wonderful compliment.” Distributor, AD Merchandise was named group member of the year, as well as picking up the award for the best use of website. Managing director Amo Singh, said: “We’re honoured to be the first ever company to win in two categories – and this was a real team effort from start to finish. Everyone at AD Merchandise should be proud of this win.